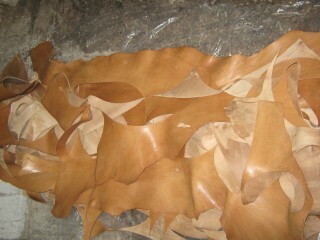 Our company has been active since 1978 in the sole production of leather string. When we took over the company in 1985, it was a small family workshop with a capacity of production of 500-800 meters of black natural string per day. Further to a market research, we realized that apart from stringing beads, strings could be used for bijoux decoration purposes. 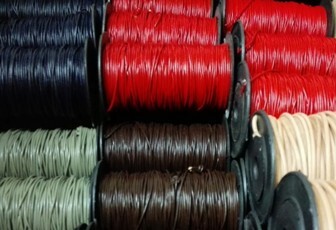 Our company started then producing well-finished strings in various colors and diameters. Today, the production capacity is of about 30.000 meters per day and according to our customers located all over the world, the quality is the best they have ever met. 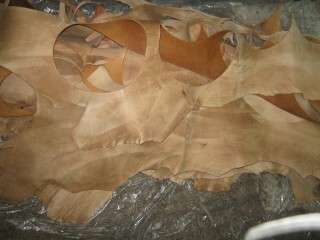 Our cowhide leather scrap and remnants are also for sale, you could visit our special section for scrap leather. Check our color catalogue in order to see the available colors and sizes on production. In case you require a color that is not listed already there, please send us an email and we will reply to you immediately if this color can be produced especially for your order. 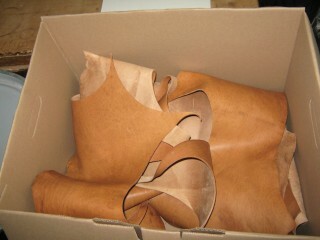 Our cowhide leather scrap and remnants are left over from our standard line of business leather cords manufacturing. 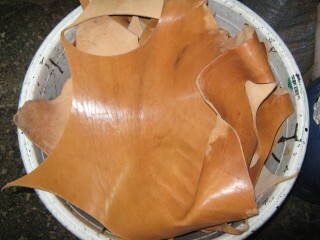 The remnants are the rests of complete cowhide animal leather, between 2,0 mm and 2,5 mm of thickness. Prices are volume depended and all orders are quoted per case. Shipping is usually within next working day based on existing availability. Special Offer: 10.000 kg for 5.000 EUR - Ex-Factory. Don't miss this special offer! For further information and orders, please email us with your exact needs and you will receive a quotation and delivery estimation as soon as possible. Please Note: Irregularities in color and texture are typical quality features and no grounds for complaints. If you are also interested in beads, metal castings and ceramic jewellery, do not forget to visit also our partner KERAMOS! © Costas Eleftheriou (2018). All rights reserved.